Yesterday the Facebook news page of the weekly “Playa News Aqui y Ahora”, was the first to report the hanging of a manta, supposedly signed by Old School zetas taking responsibility of the Blue Parrot Club shooting, in Playa del Carmen, Quintana Roo. We held back from publishing the story in hopes of verifying its authenticity. Although blogs have gone with the story, few mainstream media published it. El Debate, Proceso, was the closest to mainstream that did. There was some regional TV and radio coverage. Questions were raised if the manta was authentic. However since readers have asked about it, here is what we know. 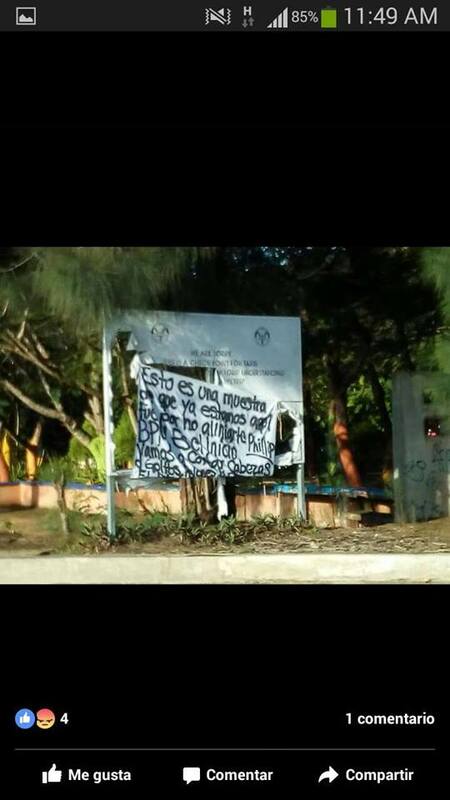 A manta was hanged in Playa del Carmen in 4 locations, Playa News took photos of the narco message before it was taken down. The photo above is the image the news source took and published. "Phillip” is presumably BPM Festival co-founder Phillip Pulitano. 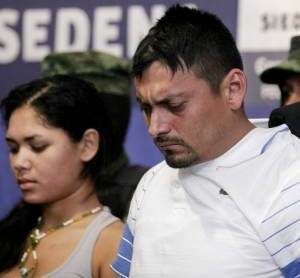 On the Playa News facebook page they also suggest “Fayo Z” is Quintana Roo Zeta leader Rafael del Ángel Velez Morales, pictured below during his 2010 arrest. "This is a sign (presumably speaking of the shooting) that we are here, it happened because of Phillip-BPM, (BPM music festival) not aligning. It's the beginning; we will cut the heads of Golfos, (CDG) Pelones and Chapulines. Sincerely, “El Fayo” Z Vieja Escuela"
Supposedly, members of the Golfo Cartel had attempted to invade the event for the purpose of selling drugs. That act would have provoked a territorial dispute confrontation between them and Zetas. 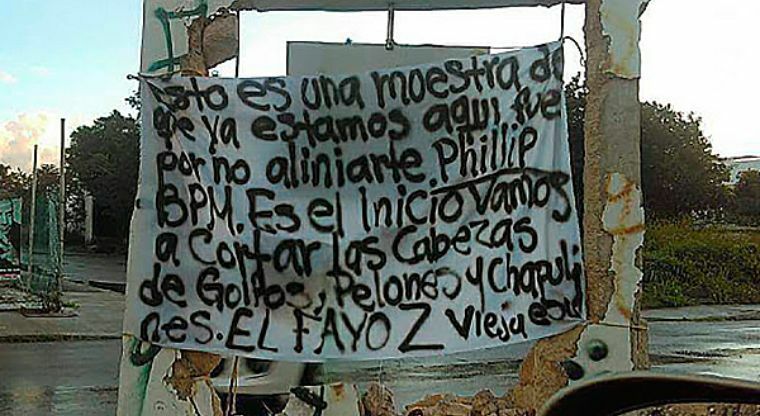 The alleged message of "Los Zetas" would indicate that would confirm that the killing in the Blue Parrot was a confrontation by the dispute of the square between groups of the narco and not a conflict between two individuals as authorities insisted and would like the public to believe. Nothing in this report seems out of the bounds of possibility. 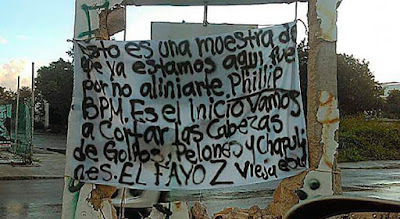 ''Phillip" is Philip Pulitano who is one of the BPM founders and also a blue parrot owner who was the contact between BPM and Los Z's for distribution of drogas at all the BPM festival clubs de noche"
That's precisely what I'm thinking, or perhaps even CDN.. The manta is far too damning. Templarios did the same garbage. Took control? All this time I thought it was internal beefs! No one cares if they don't like it get out. Build the Wall. 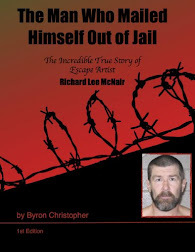 "The more I read bb the more I agree with trump built the wall"
Its not so much whats happening in Mexico but the really bitter,racist,and hateful feelings espoused on here by Mexicans against many ethnic groups(not just white)the antagonism and hate is wholly self defeating as it engenders antagonism back ? 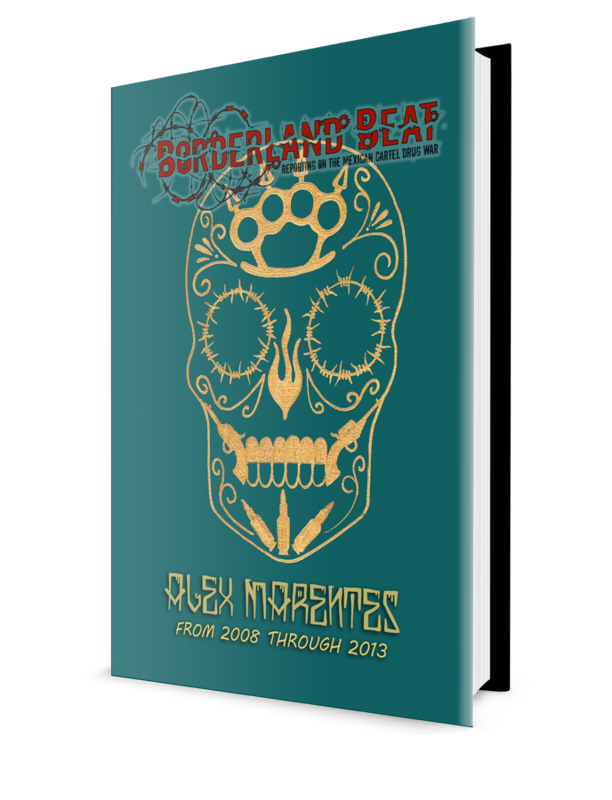 8:57 Keep in mind that several thousand people read BB each day, many of them Mexican. I read nearly all of the comments everyday (Chivis has been a big help her lately,) I've learned to identify many of the commenters by the words they use, their writing style, and other clues. I believe the number of USA haters that post comments is less than a dozen people. That is a minuscule percentage of the number of people that read BB. Certainly not a sufficient number to think that what they say is representative of what the vast majority of Mexicans think. Hope liberals don't get upset at this and riot and loot, or call you a racist. If you are so tired as you claim!!!! !, get the hell out of this forum you little bity trumper!!!! ''Phillip" is Philip Pulitano who is one of the BPM founders and also a blue parrot owners who was the contact between BPM and Los Z's for distribution of drogas at all the BPM festival clubs de noche. Thank you! Maybe you can help us. Early on and until now, word is that of the BPM security were killed. Yet when one looks at the list of the dead it seems other than Wilson, who is canadian now living in Cancun, all on the list were tourists. calculating the two groups the total is 8 killed, which is the original number reported. I will add your info to the post..
"But CBC News has learned from the source that Monday's shooting wasn't the first incident of violence against the festival involving the cartel this year. The source, who CBC News is not naming to protect their safety, also says the Zetas cartel increased demands on BPM organizers this year. But the organizers, who previously had a decent relationship with the drug cartel, ignored those demands, according to the source. "They can turn on you in a second," the source said. BPM, which has been holding events in Playa Carmen annually since 2008, announced at a show during its 10-day stretch that this year would be the festival's last in the Mexican city and that it would be moving to Brazil or Portugal." What part of Canada are they from? What gang in Canada? The canadianas should have been charging a 'mordida' to the drug dealers like 'rent' like a lot of clubs north of the border not the other way around but I guess the property wasn't their territory even though the owners paid for it.At least call it 'even steven' would be more fair.I'm starting to like the legal taxes,at least you can write them off at tax time.Boy what happens when cashless society happens?It's already apparently happened to India 2 months ago and their state tax revenues went up 25%. Makes sense. Probably an easy task to get the Coke directly from Colombia which is not too far from Cancun, across the water. I know there's also a lot in Belize. There was a second shooting down there? Heard it from my local news. China's FYI ONLY... Clearly, from the banner, it's clear that this was retaliation for something Pulitano and his partners did--for what I don't know, but it seems like they stepped out of line and started doing business with someone other than the good Z. As soon as they bought the blue parrot from the previous owners (who ran a clean operation) they partnered up with the Z's which opened the door and normalized open drug sales--not only in the blue parrot but all of the clubs that to participate in the BPM Festival. He and his partners partners are all gang related in Canada Not only do they participate in the profits from drug sales in the 80+ events during BPM, but now Philip and his partners are ultimately responsible for what happened the other night at Blue Parrot. They are also heavily involved in money laundering from the cash sales at this event that is attended over by over 50,000 people. Big $ business! FYI, From a bigger story in Por Esto Cancún: ...mismo lunes de los trágicos hechos, el tiroteo protagonizado en el The Blue Parrot, enclavado en el “corazón” turístico de este polo vacacional, cuando sicarios al servicio de “El Fayo”, ejecutaron a uno de los organizadores del BPM, originario del estado de Veracruz, e hijo de un alto funcionario de gobierno del estado de Veracruz, al prohibir el ingreso de algunos narcomenudistas de dicha organización, por lo que al parecer agentes de la Policía Municipal, vestidos de civil y armados e indebidamente asignados en el lugar por la alcaldesa María Cristina Torres Gómez, repelieron el ataque desencadenándose un tiroteo en medio de cientos de personas con un saldo trágico de cinco personas muertas y 15 lesionadas. Who are the "chapulines" they refer to? This seems very fishy. 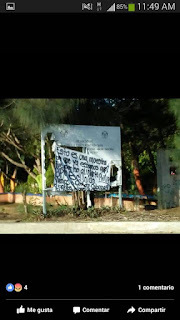 Anyone ever hear of the Zetas/VE doing something that brazen an then putting up a manta with such a message recently? It just seems a bit too forward as they have pretty much been concentrating on the CDN and their supporters. Who owns those resorts in Playa?? Locals are scared...many schools were closed...public events like nightly outdoor dance zumba classes canceled...chupalines are the independent drug dealers not associated with the golfos..pelones or Zs...understand the cartels have all operated different here much lower key than up north....shorts n flip flops is their attire....many have sent their families to Merida this week...nobody really operates in the yucatan state so it is safe......understand alot of foreign mafias have presence here. Bigtime Italian operators involved in realestate and local gyms..Russians that do the clone cards that they make from info given to them by the mexican cartels.Quebec mobsters are at work..Cuban.Argentinan..Venezualans...Columbians.alot of money laundering.. Either way, they killed the goose that laid the golden egg. Lacras,malparidos, ponganse a trabajar inútiles. En vez de matar a gente inocente, cobardes. Pónganse hacer algo con sus vidas. Son una basura. Someone making moves into the plaza ?